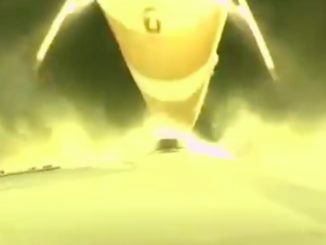 NASA and Northrop Grumman officials have not set a new target date for the launch of the ICON ionospheric research satellite aboard an air-launched Pegasus XL rocket following a mission abort Wednesday, and it could be weeks before the the long-delayed science probe has another chance to head into orbit off Florida’s east coast. 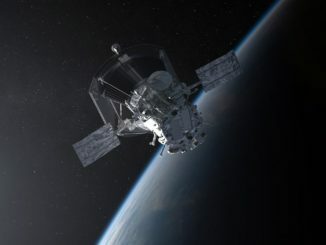 NASA’s Ionospheric Connection Explorer satellite was scheduled to launch Wednesday aboard an air-dropped Northrop Grumman Pegasus XL rocket over the Atlantic Ocean, but managers aborted the mission after encountering a technical concern with the rocket following departure from Cape Canaveral Air Force Station. 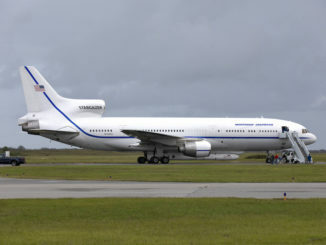 The launcher’s L-1011 carrier jet returned to Florida. 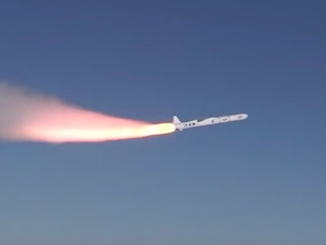 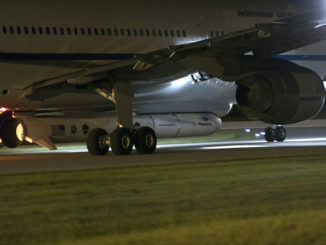 Northrop Grumman’s Pegasus XL rocket will take about 11 minutes to place NASA’s Ionospheric Connection Explorer, or ICON, satellite into a roughly 357-mile-high (575-kilometer) orbit after an airborne launch off Florida’s east coast. 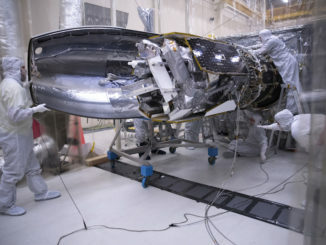 NASA and Northrop Grumman managers at the Kennedy Space Center decided Tuesday to press ahead with final preparations to launch a NASA scientific research satellite early Wednesday aboard an air-launched Pegasus XL rocket off Florida’s east coast. 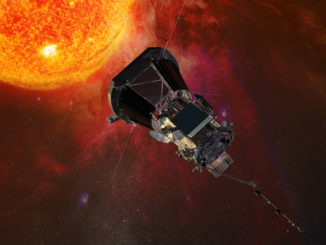 Less than three months after its fiery departure from Cape Canaveral, NASA’s Parker Solar Probe flew within 15 million miles (24 million kilometers) of the sun Monday for the $1.5 billion mission’s first close-up solar encounter. 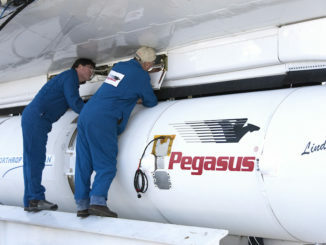 The launch of a NASA research satellite built to probe conditions along the boundary between Earth’s atmosphere and space has been tentatively rescheduled for no earlier than Wednesday, pending the conclusion of a review of unexpected data signatures discovered on the first stage of the mission’s air-launched Pegasus XL rocket. 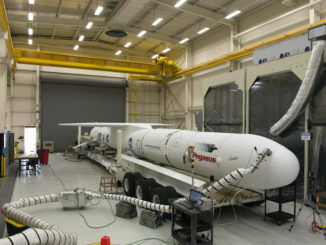 Continuing a series of delays keeping NASA’s Ionospheric Connection Explorer on Earth, NASA announced Tuesday that the satellite’s launch aboard an air-dropped Northrop Grumman Pegasus XL rocket will not occur as scheduled Friday. 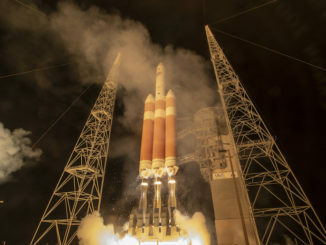 These images from United Launch Alliance and NASA photographers recorded the liftoff of a Delta 4-Heavy rocket from Cape Canaveral on Aug. 12 with NASA’s Parker Solar Probe.